After reading many teen fiction novels, I had started to think that they were getting predictable. 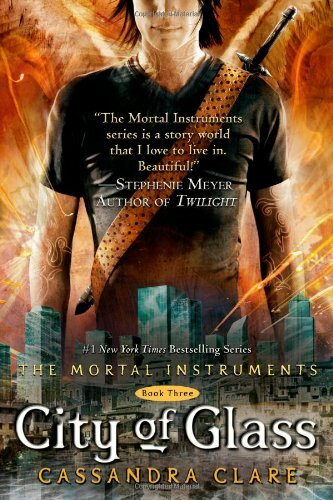 When I picked up City of Glass by Cassandra Clare, that opinion changed. City of Glass is a different type of fiction novel. It captures the idea of fictional creatures such as faeries, werewolves, and vampires, but also includes scenarios and problems that the reader can relate to. Clare mastered the idea of combining the real and imaginary worlds. This story, the third in the series, focuses on Clary Fray, a sixteen year old girl who has a lot on her plate. Whether it’s problems with friends, family, or boys, Clary’s life relates to the reader without being too expected. Cassandra Clare has Clary experience a life style that moves quickly and full of adventure. But through all the danger, betrayal, and near death situations, Clary still manages to have time for friends and a developing relationship. This book shows that no matter how independent you think you are, you will always need your friends. It helps the reader see that if you believe that you can truly do something, you can get through anything that comes in your way. City of Glass is a well written book, and I recommend it to anyone who enjoys teen fiction.